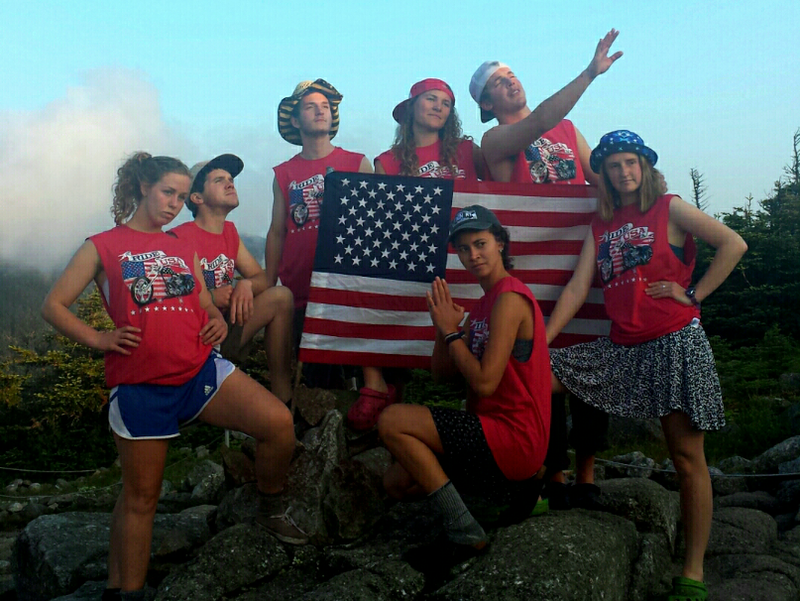 There’s no better place to spend the Fourth of July than the White Mountains. I can’t think of anything that more embodies the frontier spirit of America than these rocky peaks and wooded hills. 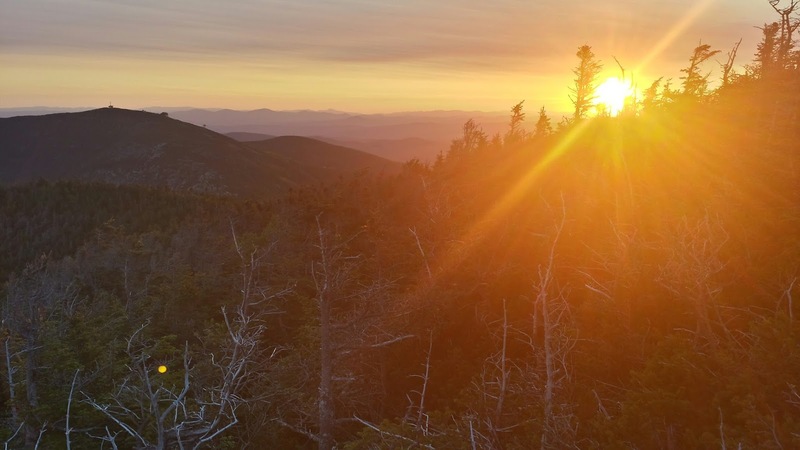 The Franconia Ridge is home to some of the highest peaks in the Whites (and arguably the best views! 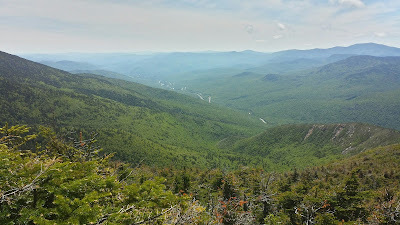 ), with Mount Lafayette, Lincoln, Liberty, and Flume standing high above the valley. I had the good fortune of spending the 4th this year 4,220 feet up on the shoulder of Mt. Lafayette at the Greenleaf Hut. 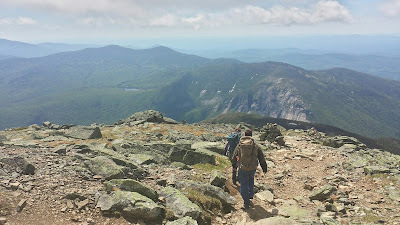 I set out on the Old Bridle Path Trail around 10:15 AM, my pack bursting with nearly 50lbs of gear and celebration goodies, I was soon to find out that I wish I had packed less gear… The trail starts out moderately, winding up from the parking lot by Rt. 93, by many small rock walls and following the contour of Walker Brook. Soon the path turns left, as the Falling Waters Trail follows a bridge over the stream to continue to the summit of Little Haystack Mountain. I continued along the Old Bridle Path as it winded through its wooded beginnings for about 1.9 miles. It then became very steep and rocky in sections where, as I rested, many patriotic and spirited hikers passed by. Be careful as these sections will be slippery in wet weather, and are made more difficult with a heavy pack! As the trees began to disperse and I climbed into the scrubby krummholz, I stopped to take a rest once again at one of the few lookouts along the way. 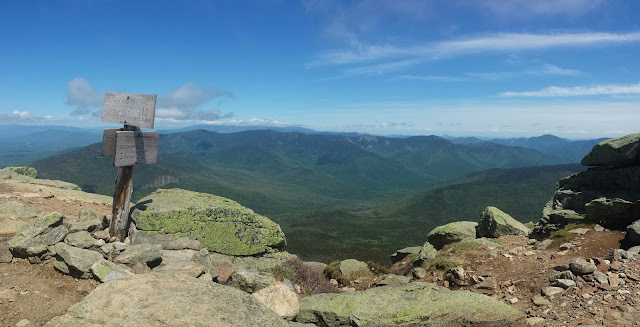 These bald rocky sections are a perfect stopping point to rehydrate and take in the fantastic views the Franconia range has to offer. Without the obstruction of trees, I could see across the ridge, and down the valley, with Mt. Liberty looming in the distance. When I hiked this trail earlier this spring, I was treated to fantastic displays of alpine wildflowers in their spring bloom. The final push is through a narrow path winding through krummholz until I finally emerged at the Greenleaf Hut, with Lafayette standing powerfully just 1.1 miles behind. I was certainly happy to have a rest here after this long hike, including the “6 Agonies”, several, seriously steep sections (Be careful of the slippery “Red Rocks” section!) interspersed by flat areas. The final section above Greenleaf Hut descends a small valley by the glacial tarn lake just below, and ascends steeply up to the rocky summit of Mt. Lafayette. This section is very steep and rocky, and often times have high winds! I had to be careful of my footing, so as not to be blown over by the winds, though the view from the top is worth it. 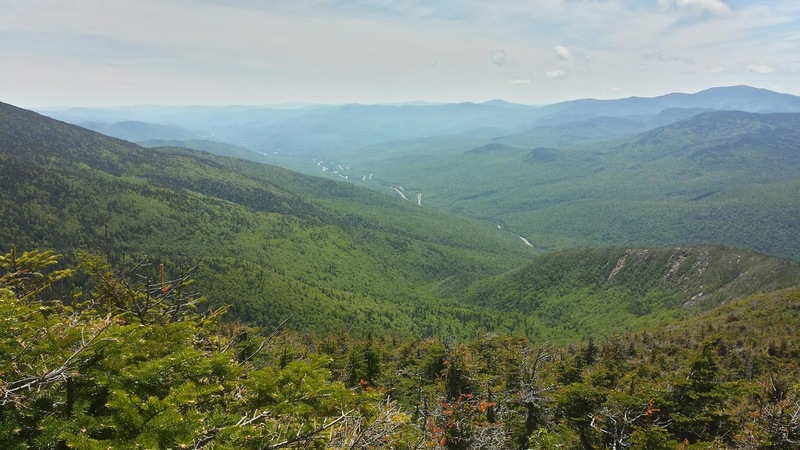 You’ll see stunning views of the Pemigewasset Wilderness, and even the Presidential Range in the distance with Mt. Washington shrouded in clouds. 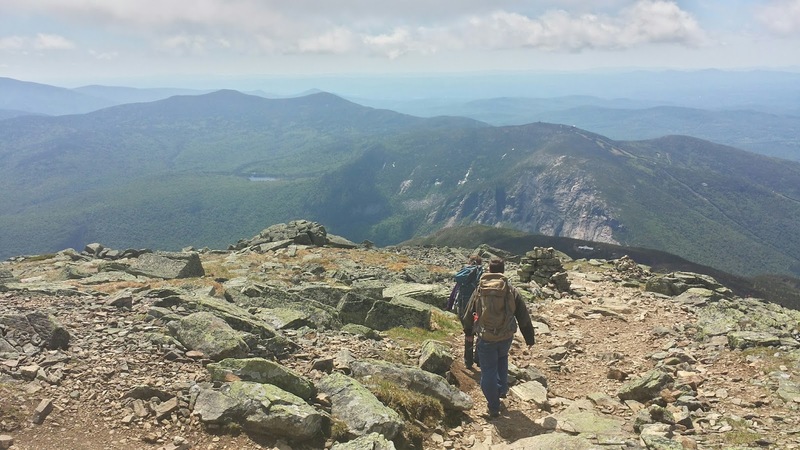 A short jaunt can be made across the ridge (~2 miles) over to the summits of Lincoln and Little Haystack, with little elevation gain or loss (aside from the steep, short climbs to the peaks!). The Fourth of July Celebration was concluded with a fantastic dinner of pulled pork, fresh rolls, and roasted vegetables prepared earlier by the croo. It was a fantastic, patriotic day I won’t forget! You can find this hike in the AMC White Mountain Guide and on AMC Map #2 for the Franconia Range. You can check availability and reserve nights at Greenleaf Hut at www.outdoors.org! As always you can call us here at Pinkham to see what we’re seeing out our windows and for the best trail advice we can give you! We are available by phone at (603)466-2721 every day from 6:30 AM to 10:00 PM or by email at amcpinkhaminfo@outdoors.org. To make reservations at AMC Lodges and Huts, please call (603)466-2727 available Monday through Saturday 9am-5pm.